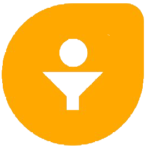 Freshmarketer provides a real time visual summary of your visitor’s clicks and scrolls. 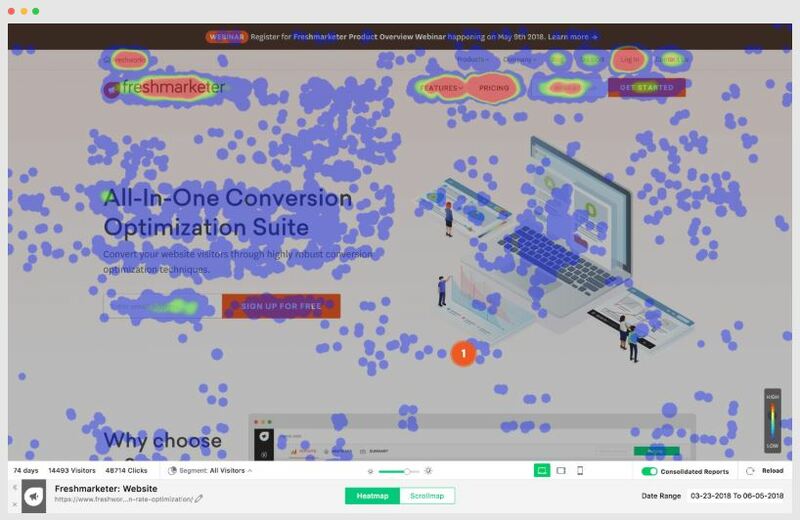 Freshmarketer automatically detects device types and generates appropriate heatmaps for desktop, mobile, and tablet. Simply create variants of your web page with an easy to use visual editor. Customize your page with a variety of editing options. 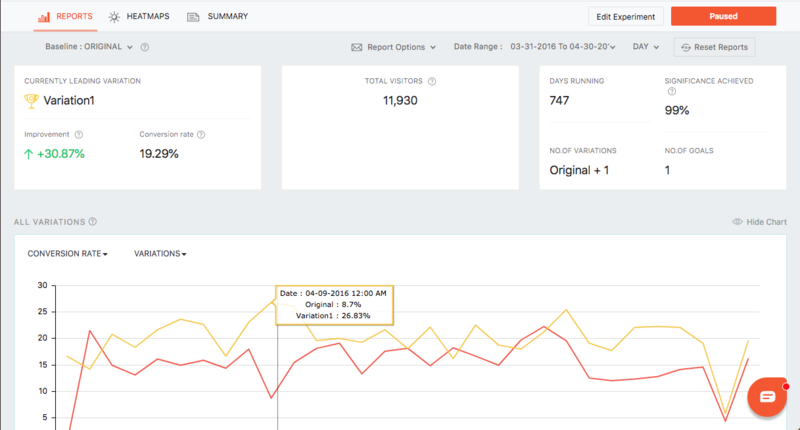 Create variants of web pages and A/B test them without the need to use login screens. Enter URLs of pages sharing a similar design and upload them with a simplified targeting option. Split URL testing or “multi-URL” testing allows you to conduct and measure experiments based on separate URLs of each page. Create personalized experiences with 23 custom audience segments and launch personalized campaigns with ease. Access live preview of how the campaign would appear to your audience before releasing your final version. 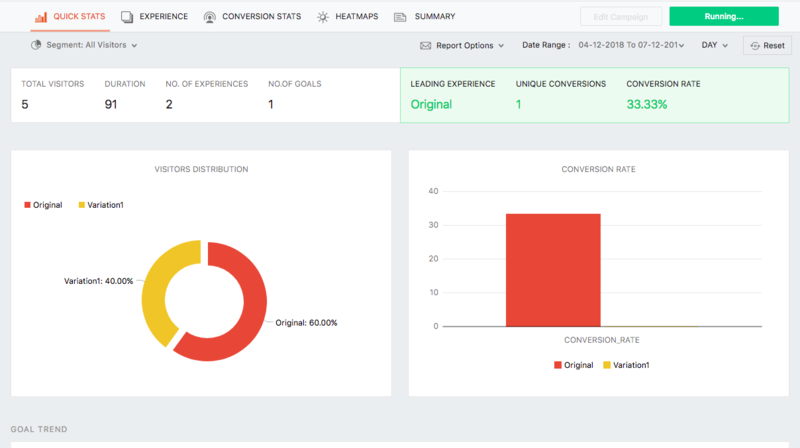 Create specific reports, goal-based reports and measure the conversion rates.